I haven’t updated this blog in a LONG time. Soz about that but I was planning a little thing called a wedding! I am now Mrs M and loving married life. And I now that wedding planning life has ceased, I have TIME. Time to write! 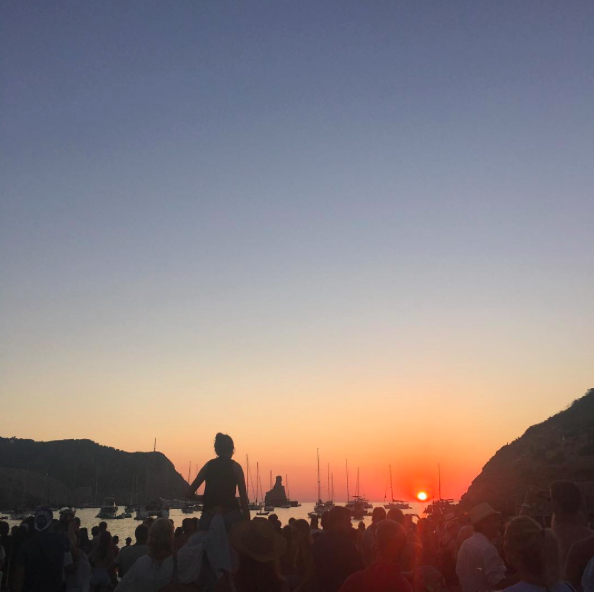 We’re currently on honeymoon in Ibiza, the White Isle, home to many an amazing sunset and many brilliant clubs. We haven’t been doing the latter of the two, preferring to basically eat great food and chill on our private balcony in the north of the island (BLISS). However, whilst we’ve been here, I’ve had to deal with a little unprecedented thing called prickly heat. I have been COVERED. Arms, legs, body. And it hasn’t been pretty. I have suffered badly in the past (more so when I was a teenager) and it’s ruined a few holidays as I’ve been so damn uncomfortable. The last couple of excursions abroad have been fine and I’ve only suffered a little bit in the usual places (bit of redness in elbow creases...nothing to write home about), so I thought I’d be sorted for our honeymoon with my foolproof routine. Apparently not. Over the past 5 years or so, I’ve hunted high and low for sunscreen solutions for my crazy, sensitive, sun-intolerant skin, trying everything from high-end to high street. For the last couple of sun-packed, relaxing holidays, my skin LOVED Green People’s Scent Free Sun Cream, which has no nasties, but then my body thought, NAH, don’t like you anymore. At this point, I found beauty goddess’ Lisa Eldridge’s sun screen tips, which I have to say are brilliant, and she gives an informative run down of her top products, specifically focusing on different UVA/UVB filters (chemical and mineral) and which work best for different skin types. With these tips in mind, I started to use (long name alert) Institut Estherderm’s Sun Intolerance High Protection Body Spray, which for the past couple of years, has been doing the trick and my skin has been a-ok. So like, clockwork, my skin decided again to say a big FU to the French skincare brand, and have a complete change of heart. Go to the chemist straight away. This is something I failed to do this time around, only visiting 3 days into feeling insanely uncomfortable (“It’ll be fine…it’ll go in a couple of days if I stay out of the sun” *eye-roll AT MYSELF*) JUST GO TO THE CHEMIST. They hooked me up with a steroid/calamine cream called Calmiox which is the shiz, and is like Hydrocortisone with added oomph. My skin is feeling so much calmer after just one day of use…just wish we had more time of honeymoon now to actually enjoy me being prickly-heat free. With all creams like this, the advice is to not use for longer than 3-5 days as steroid creams can cause the skin to thin. A couple of things I swear by to keep you cool, prickly heat or not, are Avene’s Eau Thermale Water Spray (keep it in the fridge) which is a god send; spray it on hot skin and your body will thank you no end. Your next best friend? Calming Aloe Vera Gel. My favourite is Holland and Barrett’s own (which I’ve also kept in the fridge whilst we’ve been away). Luckily for us, our hotel grows actually aloe vera plants in their grounds, and the owner presented me with a big jar of the natural sap when she knew I was having some skin issues, and it’s been incredible. For me, my honeymoon downfall has been my ‘foolproof’ Institut Estherderm sun protection. Don’t get me wrong, it works in some climates. However, it has not been my friend in Ibiza. Queue finding Get The Gloss’ brilliant articles on sun protection ingredients to avoid and a handy list of top sun creams for sensitive skin. I managed to hunt down a couple of the products mentioned in a pharmacy, so will be testing these out in the last few days of our time in the sun. Yes. Don’t swim. Whilst on holiday. Really it should say don’t swim too much. If your pool is chlorine based, IMO and in my experience, this will only aggravate a heat-rash further. If you do want to swim, make sure it’s first thing in the morning or last thing at night when the sun is low and isn’t reflecting off the pool. Again, a massive fail from me on honeymoon. With being so utterly confident that my skin would be fine (again, insert eye-roll), I brought denim shorts more than light linen dresses. Don’t do it and don’t wear the denim if you have a sun sensivitity. It will only make your skin feel worse! So basically, I have loads of lovely new clothes, that I haven’t even worn…ridiculous. I’ve lived in a linen kaftan for the past week that I bought in a shop in Ibiza Town. Lesson. Firmly. Learned. I eat pretty well most of the time. 80/20 rule and all that. I have however found that eating as well as I can has helped keep my skin cool. I’ve eaten loads of fresh and very hydrating fruits (melon, watermelon) and lots of skin-kind things/healthy fats - oily fish, almonds and avocado. Make sure what you’re eating is an close to it’s natural form as possible. Blocked sweat glands is what causes prickly heat, so to ensure it doesn’t get any worse, avoid excessive sweating. This has killed me whilst we’ve been away. I’ve had grand plans for HIIT workouts and early morning running which have been well and truly scuppered. It really does make things worse so just try and eat as well as you can and walk in the early morning and evenings. You can get back on the exercise train when you’re in in cooler climes. Do you suffer from the dreaded prickly heat? Has it ruined your time in the sun? Let me know your top tips/products! I'm all ears. So I’m about 3 months into the Live Lagom project with IKEA (check out my first post here) and I wanted to give a little update on how I've been getting on with the products I selected and how they’ve been helping me with a very very busy life recently and overall, helping me to reach my sustainable living aims. Meal planning - this is something that weirdly has been going really well for the days I’ve actually been at home (working away a lot means having to be super organised on the food front). For the most part, I’ve been meal prepping on a Sunday afternoon and mapping out if I’m home/away, and if I’m home, making sure I’m taking fresh, nutrient dense, and most importantly delicious, food to work. I even meal prepped my food for a recent work trip to London so that I wasn’t picking up convenient (and maybe not so good for me) food on the go. Felt a bit smug on the train, I'm not going to lie. 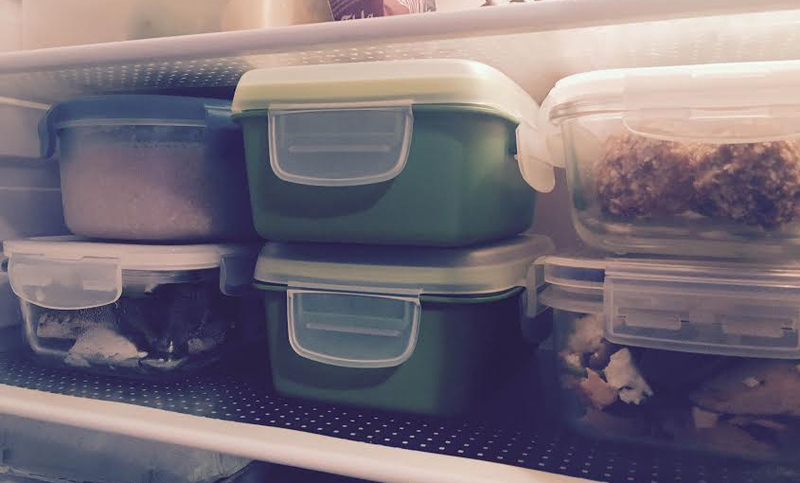 All of the tupperware and food bags I picked up in my LL haul have been fantastic, especially the glass Fortrolig range. Batch-cook and freeze - so this is something that is going 50% ok at the minute. I’ve been doing batch cooking (hello slow cooker) but the freezing part has fallen by the wayside. I’m hoping to get on this in the next couple of weeks as I’m away pretty much away all of May and three quarters of June, so I want to make sure that when I am actually home during the week, that there’s good healthy food that I can just defrost quickly and eat up. Meal prepping like a pro. Save on energy bills - now this, this is something that is actually happening! Mini fist pump moment. Despite it not feeling very Springlike at all recently, and for the most part just wanting to jam the heating on every time I walk in the front door, all of the textiles I picked up are starting to do their trick. We’ve managed to get our heating bills down significantly which has been a big help on the ol’ bank balance and means that we’re being much more sustainable with our energy consumption. What a win. All in a all, a positive start to the project. Yes, there are things I could dedicate a little more time to, but we are already seeing big savings on household energy bills, which was a big one for me, so I'm pretty damn pleased with that! Today I’m letting you in on what’s on the shelf in my bathroom cabinet, and talking vitamins and supplements; what I take and why I take them. As well as eating a pretty balanced diet, and trying to get in as many vitamins and essential micronutrients as I can through food, it can sometimes be a struggle to get in the right levels of what my body needs. I’ve been taking some extra supplements for quite a while now, to help with some specific things in my lifestyle i.e. fatigue and tiredness, to see if these have any effect. So with that in mind, I’m bringing you a very quick run down of the vitamins I’m currently taking - if I think they’re actually doing anything, if I’ll continue taking them or switch things up. These are like little magical tablets of beauty. I started taking them everyday about a year ago and I’ve noticed such an improvement in everything they claim to help, but particularly my skin. My friend Katie said my skin was looking very healthy and glowy a couple of weeks ago (on what I thought was a bad skin day!) so that was a great boost and nod to the tablets actually doing something. Taking this and eating lots of things like almonds (for that vitamin E fix) have been really helping keeping my hair, skin and nails looking good. A keeper! A relative newbie to my supplement cabinet, I added a separate vitamin B12 tablet into the mix to mainly help with fatigue. I get tired very easily and I’ve noticed a huge improvement from taking these – ain’t so snoozy all the time anymore! And because of this, my overall productivity has been massively up, which is excellent in my books. Two thumbs up. I’ve taken a combination cod liver/evening primrose oil capsule for years now. For me, it’s a great way to get those omega 3 fatty acids in for bone strength and overall health. Mega winner. However, I might do a month without to see what impact this has or just start taking a pure cod liver oil tablet rather than a mix. Just, y'know, to mix things up. A new addition to the mix are the Holland and Barrett Radiance Multi Vitamins. These little guys pack every vitamin and mineral imaginable, with added iron to help with fatigue etc. I’ve been taking these for around a month now and the improvement in my complexion for one has been pretty damn good – paired with the Perfectil Hair, Skin and Nails tablet, this seems to be a dream combo! I've also felt more sprightly on the whole and had bags of energy. Well done H&B multi vits! What’s in your vitamin cabinet? Let me know what you take as part of your health and wellbeing plan and anything you would recommend. It’s been hella quiet around these parts for a while now. With a very full-on new job (which I LOVE), wedding planning and trying to complete my nutrition course, that means something just had to give. And unfortunately it was this here blog. It’s been really quite crap feeling like I haven’t had the time to write my own stuff, but I think once I get fully into the swing my new job, and once some of the big wedding things are out the way, I’ll be able to dedicate more time over here. One thing I’ve been really keeping on top of since New Year is my eating habits. I have a goal ‘shape’ (not weight!) in mind for my wedding and honeymoon, so I’ve been keeping really focusing on what I’ve been eating and getting in those HIIT and weights session, along with keeping up my running and cycling, so I'll feel like the best version of myself come July. One of my favourite post-workout snacks has been these Madeleine Shaw energy balls. I can’t say enough good things about her Get The Glow book and her energy/protein/snack balls are some of my absolute favourites – go buy it you won’t regret it. My version is a slight adaption of hers, and I’ve worked out the macros (if you’re into that kinda thing) so you don’t have to. Whizz everything together in a food processor, and then shape into 8 balls. Pop in the freezer for 30 mins before storing in the fridge. These keep for up to 2 weeks. These are seriously tasty. I've been packing them in my gym bag so they're easy to grab when I finish my workout - perfect for making sure I'm hitting that refuel window straight after burning calories. Have you tried Madeleine's energy ball recipes? Let me know in the comments what your favourite recipes are. 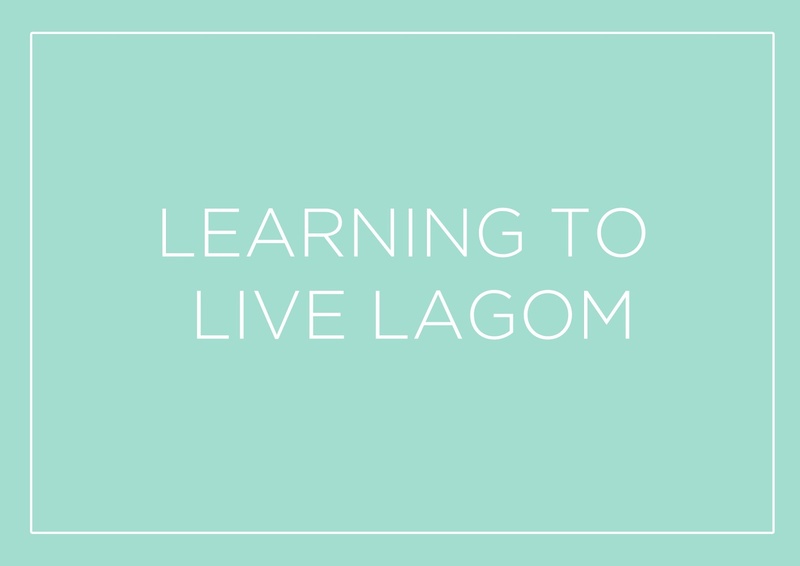 Do you Live Lagom? I didn’t even know what that meant until late last year and I definitely didn't up until this year. Lagom literally means, "the right amount is best", a canny little statement for us all to live our lives by. It was first introduced to me late last year, when IKEA got in touch with details about a project called Live Lagom - who doesn’t love IKEA? The project is all about getting people to live more sustainably to ultimately help us save money, decrease our waste and help look after our surroundings. An excellent initiative if I do say so myself, ‘cause we all need to do our bit to make sure we’re looking after our gorgeous planet. In 2015, IKEA ran this project with employees only, inviting them to select IKEA products that they thought might help them to live more sustainably. The project proved so successful and full of inspiring and fun ways to live more sustainably, that they decided to roll it out to selected IKEA Family members and wellbeing media partners (myself included!) to show how making small and convenient changes to our lifestyles and daily routines could help the planet, reduce waste and our energy bills, and hopefully make home life that bit better too. Now, I couldn’t have been more chuffed to be asked to take part in this project to see how I could make improvements and live more sustainably in 2016. IKEA kindly offered me £500 to put towards products of theirs to help me live more sustainably in 2016 and share my thoughts and challenges right here. This could go towards anything from larger items (energy-efficient kitchen appliances) down to things to help with smaller changes like storage, soft furnishings and multi-tasking food containers. This is a busy old year for us - I’ve just started my dream job in athletics which means life is quite hectic and I’m away a lot at weekends at various sporting events; we’re getting married this year too, so in-between the new job, Joe’s job, general life and trying to plan the wedding, we are strapped for time, meaning the time we actually have at home needs to be considered and planned (where we can! ), so it was always going to be a challenge for us to live sustainably this year, which is one of the main reasons I really wanted to get involved. Could we live sustainably even though we’re super strapped for time? One of the first things IKEA asked me to think about was why I wanted to live more sustainably? Well, to put it simply, I just don’t think we do at the moment and it wasn’t something that was very high up on our radar (bad, I know). Yeah we recycle but that’s literally about the only thing we do that could help with a more sustainable way of living, and when it comes down to it, that just doesn’t cut it. We always shove the heating on when it’s a bit chilly in the house rather than put a jumper on, we cook every day/night rather than meal-prep/batch-cook and we aren’t very self-sustaining i.e. growing our own herbs or any veggies/fruit when we actually could. So what did I want to get out of the project? To live a more sustainable life in a really convenient way. My aims? 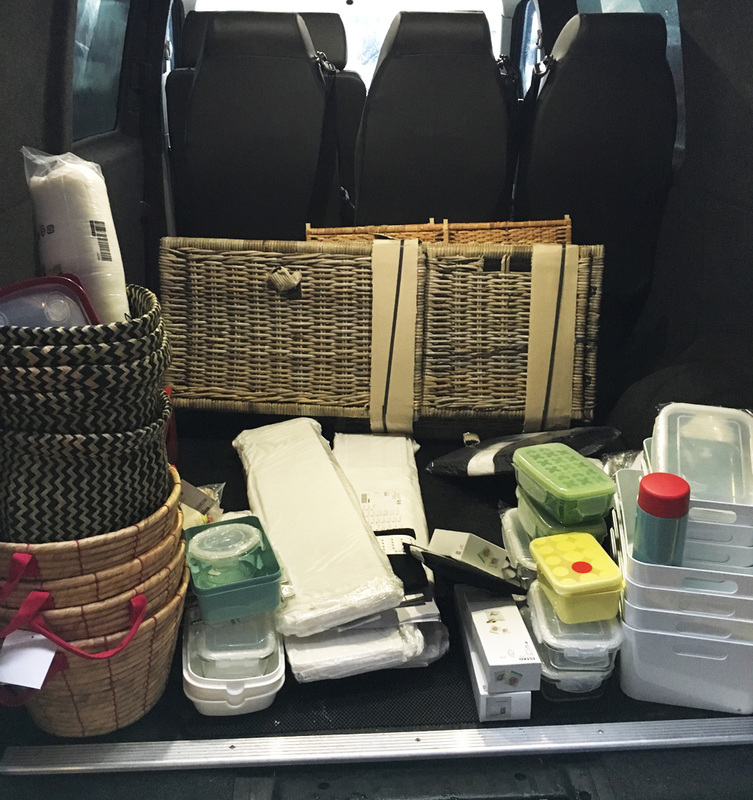 Back of our van loaded with IKEA goodies. 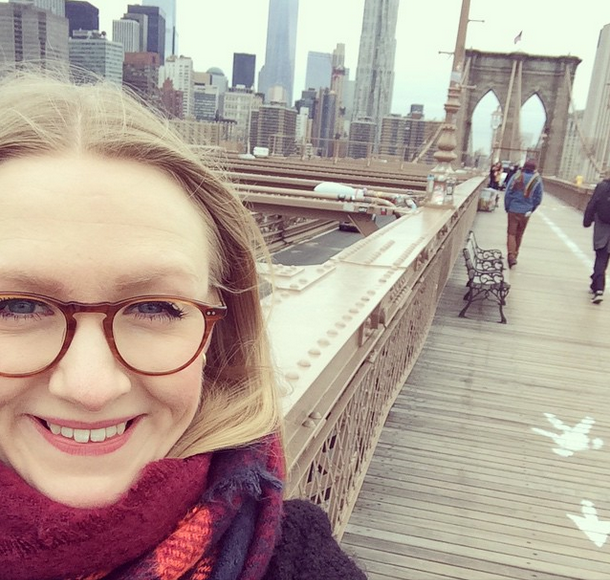 I'm Alice (or AMB for short) and live by the coast in the North East, UK. Here, I write about all things wellbeing, nutrition, fitness and lifestyle. Step on in and take a look around. © Alice Mary Barnes | Lifestyle, Wellbeing and Healthy Living | Newcastle, UK. All rights reserved.